Home Vitiligo Is Vitiligo Hereditary? Will You Get Vitiligo From Your Parents? Is Vitiligo Hereditary? Will You Get Vitiligo From Your Parents? 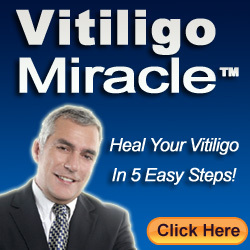 Vitiligo is a skin disorder that does not produce any harmful or painful effects. The only problem it brings is a very noticeable skin color change. This disorder is not easy to manage in the sense that it can affect the confidence of the person who has it. 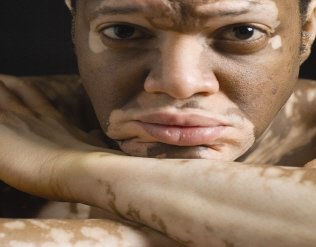 Vitiligo may have a lot of different causes. The main basis of this condition is melanin deficiency. This can be triggered either by some chemical reaction or hormonal change, or due to some infection of the skin. Vitiligo is often thought to be hereditary. Here, you will learn about the hereditary nature of this skin disorder. Studies linking vitiligo to genetics are still inadequate as only 0.75% of the population is affected by this disorder. In addition, very few vitiligo patients are unaware of other family members having the disease. However, 10% of sufferers have a family history of vitiligo, pointing to its hereditary component. Vitiligo was spotted in two children who had the same parents; they were twins, and both had the same condition. Researchers, though, confirm that children of vitiligo patients are more likely to get this disorder as well than those with parents who are not affected by it. This doesn’t mean, however, that parents with vitiligo would definitely pass the condition on to their children. From the little data gathered, it has been found that roughly 30% of vitiligo patients have a family member who also has the disorder. However, only 5-7% of children with one or two affected parents may have it, and majority of vitiligo patients do not have relatives who have the condition. Vitiligo skin disorder is commonly found in people above 40, and this makes it difficult for researchers to establish a genetic link. The habits of the person and his body conditions, including his capacity to bear heat and other climatic conditions, can also become causes of vitiligo. There are many children who have been born without vitiligo even though one of his parents has the condition. Vitiligo can be stable and it can also progress quickly. The possibilities for both these conditions are equal. Those opposing the theory on the genetic nature of vitiligo state contend that vitiligo concerns the dermal layer of the skin and that there is no link to the person’s DNA. On the other hand, those who do say there is a genetic factor involved state that the melanin pigmentation initiated by melanocytes can be reduced or increased by the immunity of a person. This immunity, they argue, is genetic and if a person giving birth has a lowered immunity, then the same can happen to the child. Vitiligo can be easily treated at the right time through certain types of laser treatment or other advanced treatment methods. Some of these techniques are even safe for pregnant women affected by vitiligo. The chances of increasing the immunity of a person can also be passed on to the baby, and this can result in the prevention of vitiligo. Homeopathic methods make use of all the information about the person’s body conditions. In such a cure, the source or the basis of the disorder is treated and it reduces the chances of transmitting vitiligo to the child through heredity.